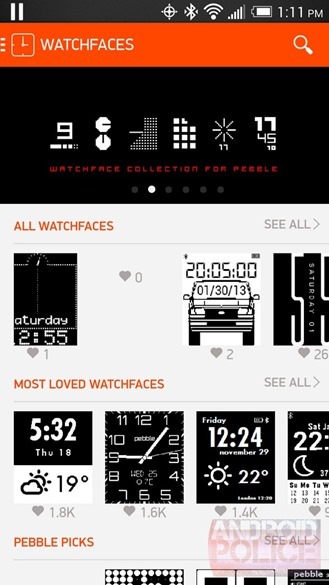 For Pebble owners, getting good apps and watchfaces has been akin to settling down in the Wild West. 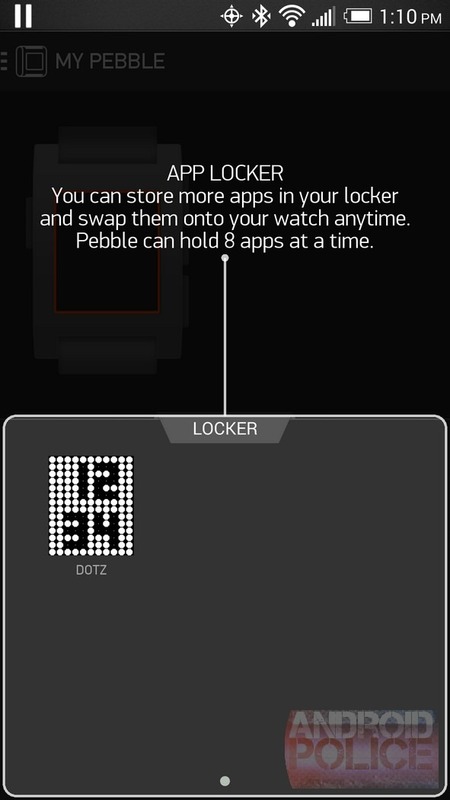 There are a handful of websites that do a good job of organizing content and making it easy to install via QR codes, and there's no way we can overlook the immensely useful Pebble apps app available in the Play Store, but these made things no less exciting when, back at this year's CES, the Pebble folks announced that a centralized app store was finally on its way. Unsurprisingly, version 2.0 came to iOS first, but I'm happy to say that Android's time has come. 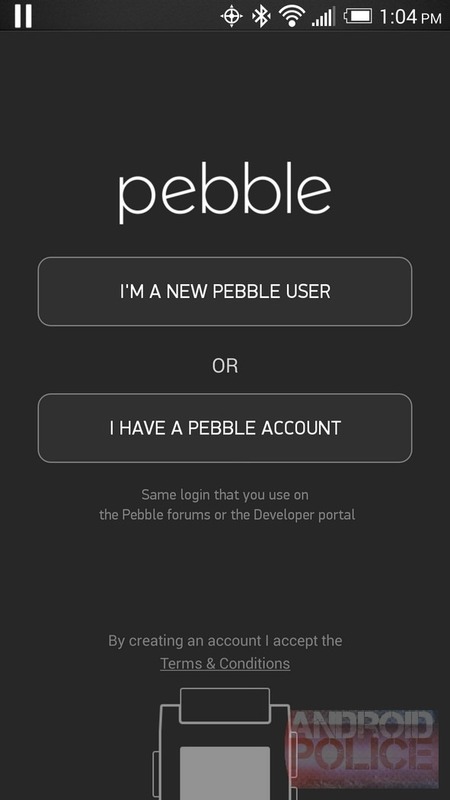 The Pebble Android app is now receiving an update that introduces the new app store, along with a complete redesign and plenty of new features. 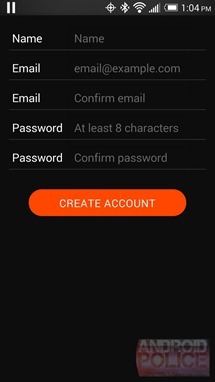 The new app is drastically different from the previous version, including the setup process. 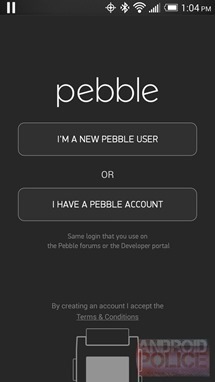 Now Pebble will prompt you to create a new account, connect to your watch, and then update it to firmware version 2.0. 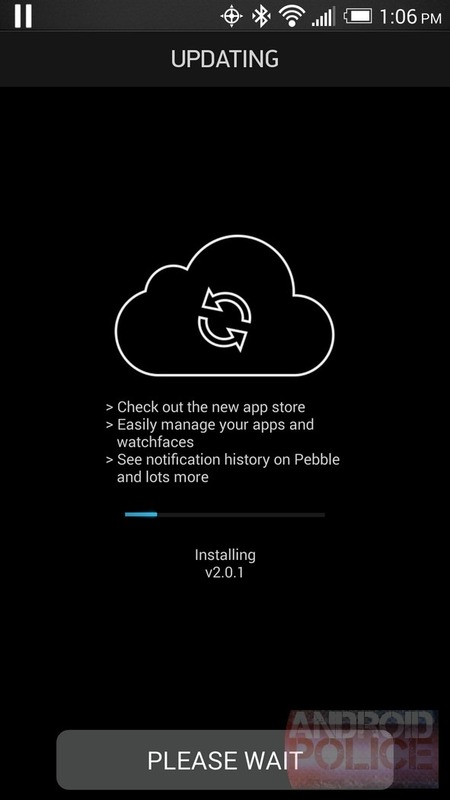 It will then guide you through updating your pre-installed apps, point you towards some new ones, and run you through the same steps it did before. 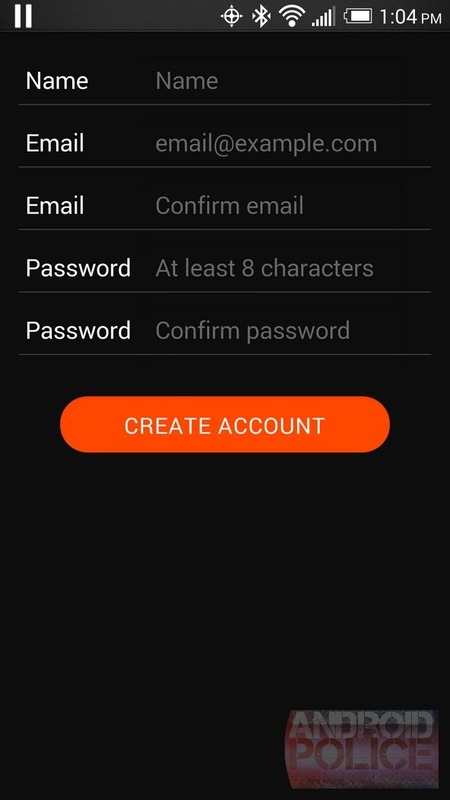 Once things are up in running, the entire interface is leagues better than it was before. 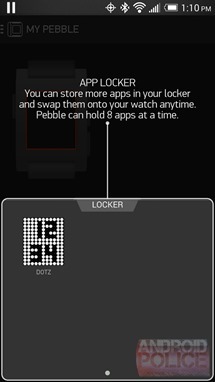 Not only do you have a place to look for new apps and watchfaces, you have a drastically improved space for managing what's on your Pebble. 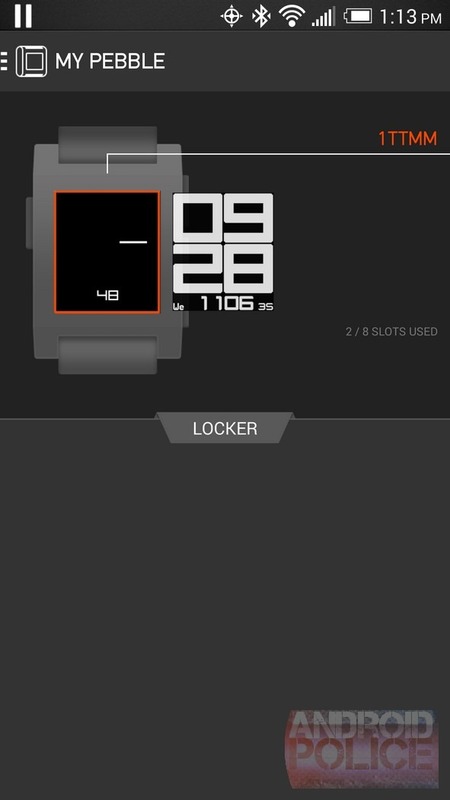 And if you find more than eight apps or faces you like (the maximum number the watch can save), there is now a locker where you can store the others for later. Good stuff. I haven't had time yet to play around with any of the new apps, but you can check them out for yourself by hitting up the widget below. 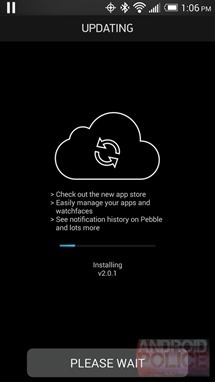 Update: The Pebble team has made a blog post announcing the update, and while it doesn't contain much in the way of new details, it does highlight several of the apps you can find in the new app store. 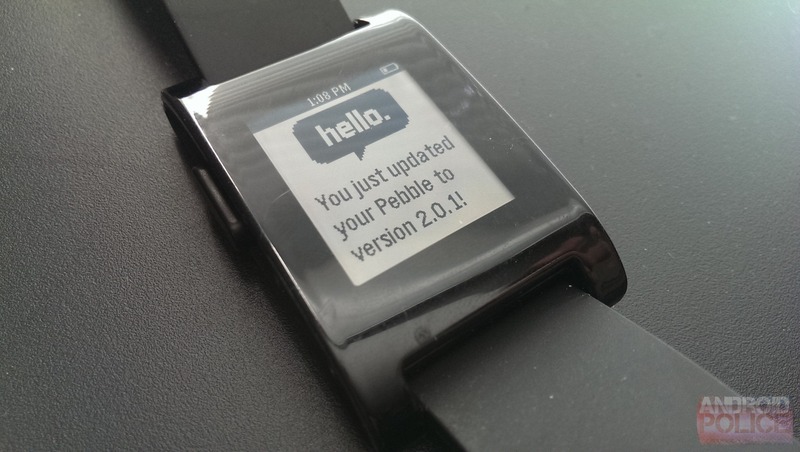 Glance lets you customize your Pebble with weather, calendar, and stocks and send pre-configured SMS messages. Canvas lets you design watchfaces on your smartphone and publish them instantly to your Pebble. 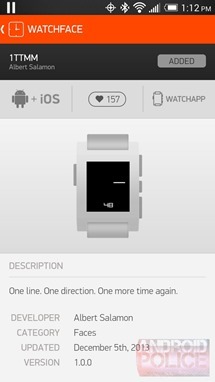 PebbleCam turns your Pebble into a remote viewfinder and control for your smartphone camera. 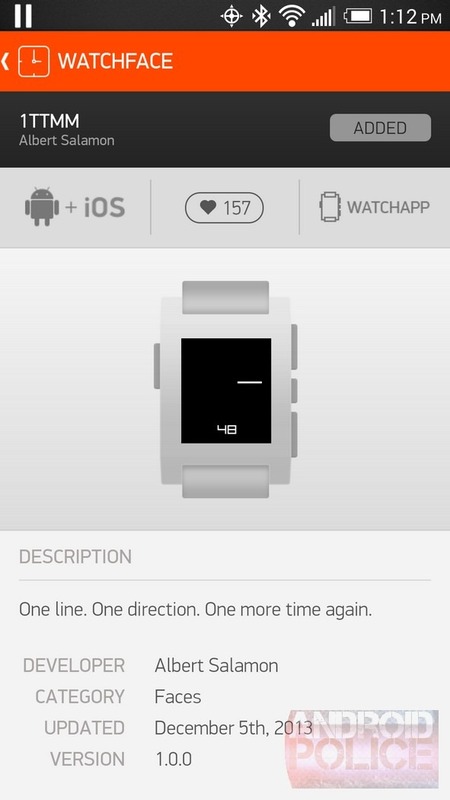 Music Boss lets you to launch and control any music app on your smartphone from your wrist, with volume control included. 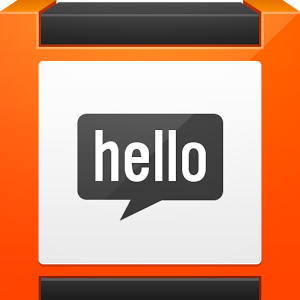 Sleep as Android is a smart alarm clock and sleep-cycle tracker that integrates with Pebble and wakes you up gently. 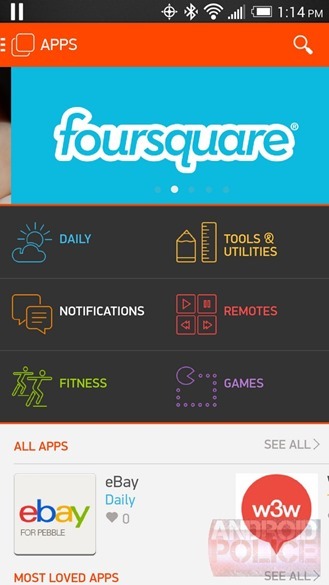 You can also find eBay, Evernote, Foursquare, and Yelp apps, along with other established brands such as Mercedes-Benz and Time Warner Cable.